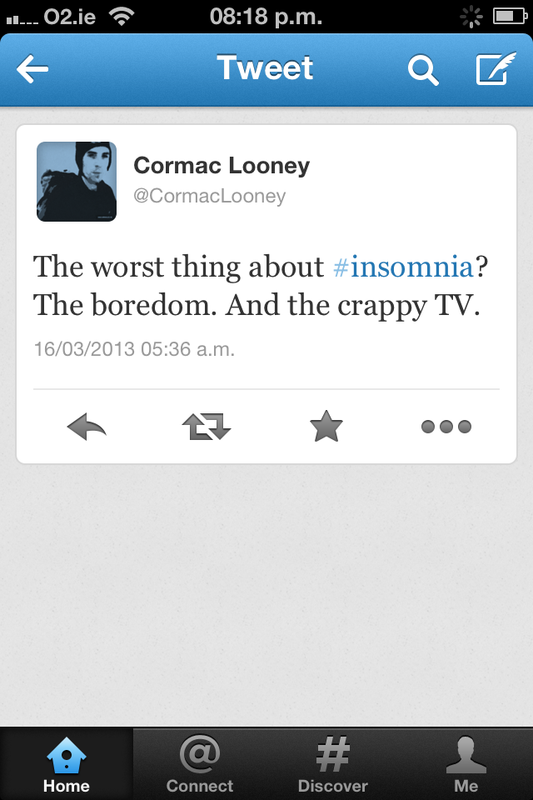 Hi Cormac — Usually it’s menopausal ladies who suffer from insomnia but recently, it’s become epidemic for all ages. I used to go to sleep ok but would hit a wall around 3 am. I tried acupuncture, specifically targeting insomnia, and have slept pretty well now for 3 months. If you know of a legit acupuncturist, give it a try. The only thing you have to lose is, well, a night’s sleep! Thanks for the tip Susan. I have tried a number of ‘remedies’ to date but not acupuncture. Glad it worked out for you!